Rapaport News: What is your background in the industry? RB: I'm the third generation in a family of jewelers. My parents had jewelry stores and when I took them over I recognized a real problem relating to jewelry insurance claims. Whenever people had jewelry claims, insurance companies used a methodology that was foiled with problems. So we created a company called the Australian Jewellers Consortium through which we act as a consultant to insurance companies to assist them in managing their jewelry claims. At the outset, we realized that we had to take ourselves out of the supply chain as there was a conflict of interest in being a supplier and providing advice to the insurer. We made a fundamental decision not to supply goods for replacement in jewelry claims, and we would solely become their adjuster on jewelry claims. We do the validation process, working out what the client lost and a fair replacement value, and we assist the insurance companies to provide an equitable settlement. We also always try to send people back to their original jewelers, with whom they already have a relationship. Rapaport News: What is the Q Report? RB: After 10 years, we realized that insurers don't understand or appreciate the jewelry market. For them, jewelry is just another item of value, part of the household insurance. They don't want to differentiate between jewelry and a TV. There are always contentious issues involved with insurance claims. The biggest problem with the jewelry and insurance industries related to valuations. Consumers were constantly being provided inflated valuations by jewelers, which would cause problems at the time of a claim. Insurance companies wanted to deal with specific jewelers so the traditional jeweler would lose their best customer to some unknown jeweler without getting a chance to participate in the replacement. Consumers inevitably felt cheated as the true replacement amount was often lower than what they were told their insurance policy covered. From this experience we developed the Q Report, which is a quick and efficient online jewelry product for consumers. The report is offered by the jeweler when the sale is made and combines elegant documentation with a comprehensive insurance policy for that piece of jewelry. There are various undertakings in the policy, including that you can always go back to your original jeweler in the case of a claim. We also insure for the purchase price, not an inflated value. Therefore, in the case of a total loss we pay out the full amount, and no discounts are ever requested from the jeweler. In addition, we offer 125 percent cover as a hedge against exchange rate volatility since diamonds are valued in U.S. dollars. The idea is to make sure the client is put back in the same position they were prior to the loss. The claim has to be a positive experience for the consumer, not a nightmare. Rapaport News: What is the makeup of the Australian industry? RB: The Australian industry is very similar to the U.S. except that it is smaller. We have a large number of small jewelry wholesalers and a small number of diamond wholesalers. All the goods are imported from overseas and there is very little diamond manufacturing done in Australia. We have a solid small-business jewelry industry with a considerable number of jewelers in manufacturing. However, it's predominantly custom-made jewelry and no one produces high volumes. The dominant retailer has about 600 stores under different brands. We have three or four other large chains and a few that have three to 10 stores. We see growth among independent jewelers, which make up about 40 percent to 50 percent of the market. 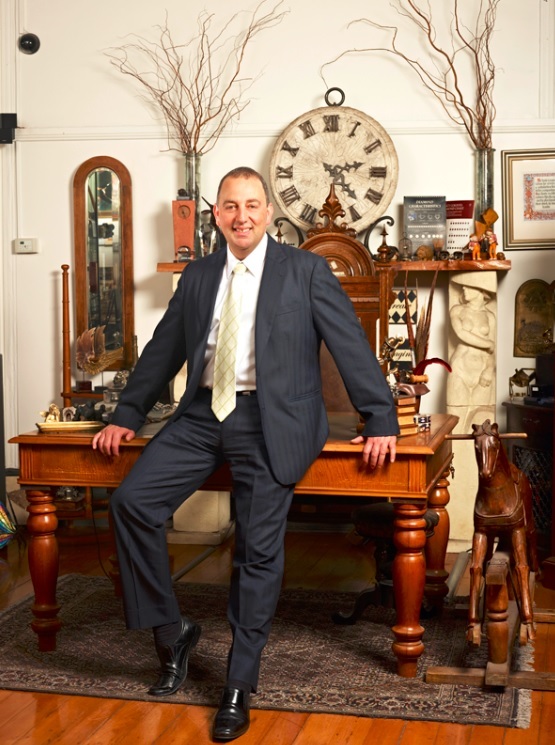 Many of those are a combination of bench jewelers and retailers, who have shifted online. They’re often operating in the vertical retail space, with offices and showrooms in inner city buildings, and many have left strip malls and shopping centers. Rapaport News: How is the market in Australia? RB: Fundamentally it's a strong market. There's pressure from overseas, in particular at the upper end, as diamond prices have become more transparent and consumers have easy access to the web and prices. The market here is small but competitive so there's very little information sharing within the trade. Wholesalers compete with overseas suppliers but their other big challenge is the credit demand of retailers who stretch out payment for extended periods. Both wholesalers and retailers are struggling to gain margin. My belief is that consumers are there on mass, but we have to excite them to buy diamond jewelry. That’s only going to be accomplished if the trade earns better margins and if we create credibility and a positive environment for consumers to buy diamond jewelry. If we compete strictly on price, then we're dead. The successful wholesaler and retailer recognizes that there's always someone who will sell cheaper and will look at other ways to differentiate themselves. Australia is a mature market, but we don’t have as great acceptance of lower-quality goods as there is in the U.S. The quality of goods demanded in Australia is generally higher. We don't have a big market for piqué goods, while SI’s are the stronger category. The market is educated for better-color diamonds. Rapaport News: What is the function of the DDCA and how did you get involved? RB: I was invited to one of the meetings when the club was first being considered. I was excited by the idea because I'm passionate about diamonds and jewelry. I was happy to become a founding member and felt that I offered a different perspective because I understood retail and wholesale. The club was founded in 2006 and I was elected president in 2007. The aim of the DDCA is to facilitate growth between diamond wholesalers and jewelry retailers. We try to assess the differential of the Australian wholesaler. It's very difficult for them to compete on price as retailers have easy access to supply from the major trading centers, and they can easily travel to the trade shows in Hong Kong to source goods. We decided to create a diamond trading platform exclusively for local merchants based on goods in the country. This is a fairly new initiative but is proving successful. It’s a platform for retailers and the local trade to interact. The club is in no way involved in the final transaction. We have an aggressive drive toward the diamond retailer. We believe that our members need greater exposure to consumers so we're focused on promoting the retailer, largely through search engine optimization. The other benefit that we offer our members is a connection to a global network through our membership in the WFDB. We plan to bring the World Diamond Mark (WDM), which is a project of the WFDB, to Australia in the very near future. I believe that will take the DDCA to another level. Rapaport News: How did you get involved in the World Diamond Mark Foundation? RB: A few years ago I was part of a trade and promotion commission and felt that there was a real need for the WFDB to reach out to retailers, who are the face of diamond selling. De Beers had stopped its generic marketing campaigns and we weren’t seeing anyone pick up the baton regarding diamond marketing. I believe that the WFDB is in the best position to fill the void. It has credibility as a global body, and there could be an excellent exchange of information and education with retailers. I gave a presentation on that basis at a 2010 diamond conference in Moscow and we asked who would be interested in getting involved. We started to get a bit of a groundswell of people and it was really quite exciting. From that seed the idea evolved. Alex Popov, the current chairman of the foundation, then approached me and Suresh Hathiramani to rethink the program. We brought in a consultant Nicolas Chrieten and the concept of the World Diamond Mark morphed to a whole other level. Rapaport News: Can you give us an update regarding the WDM? RB: The most recent development is that Peter Cheng, chairman of the Chow Tai Fook Foundation, has joined our board. This is a testament to our vision and goals, and recognition for what we've accomplished to date. We had a very successful conference in India, which generated buzz about the WDM and also brought in retailers to engage with us. Since then, we hosted a diamond week in Dubai where 3 million tickets were sold, participated in a jewelry show in Turkey, and a fashion show with Vincenza Oro in Dubai. We're creating enormous energy in terms of generic marketing. We believe that we're going to step up another level when we have the presidents meeting in Israel in June. We’re looking to engage with key stakeholders to share our vision and involve multiple entities. We want to be inclusive as everyone seems to have the same goal of finding ways to promote diamond sales to the consumer. So let’s all use our expertise and finances for the same purpose. Rapaport News: What’s your long-term vision for the DDCA and your business in the next decade? RB: I am confident that the DDCA will grow. We will bring the WDM to Australia and wholesalers and retailers will be proud to be a member of the club and part of the WFDB. It’s difficult to predict what will happen in the next 10 years, but I would say that the next decade is going to be about how we weave the latest technology into the most important aspects of our industry. However, personal relationships are still at the core, as it is for any industry that involves buying and selling, or offers a service as we do with the Q Report. The relationships that we develop, be it with friends, business associates or our customers, defines our success. Technology and computing power continue to develop at an incremental rate, but nothing will substitute the strength and value that a personal relationship can build.